One piece of wisdom on the trail is to never do two passes in one day. I’m not sure of the rational. Perhaps it is because you would have to cross the snow on one in the afternoon and posthole. Maybe it’s the total elevation gain required. 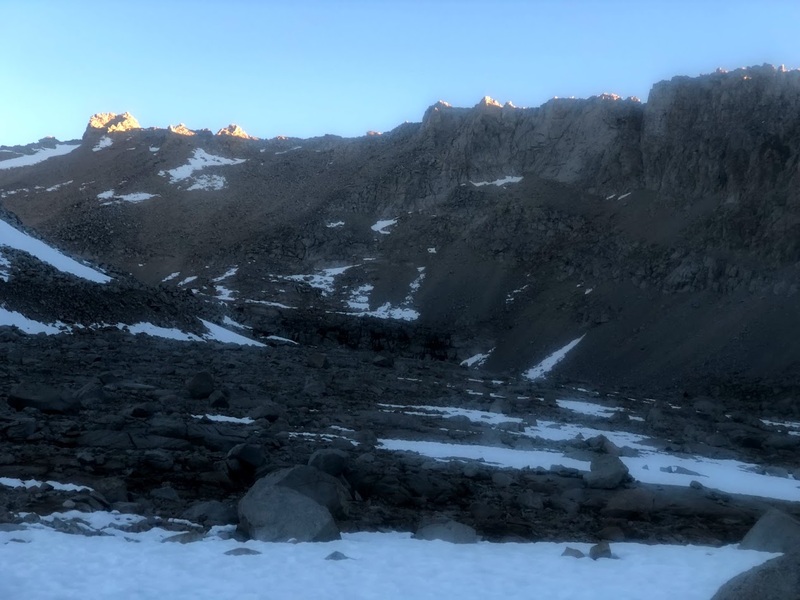 I’m going with the latter since I didn’t encounter snow on Kearsarge Pass. For like the zillionth time, I’m going to whine about mileage. As you can see, I hiked 10 PCT miles. Short day, right? If you don’t count the approximately 9 miles across Kearsarge Pass towards Independence, yeah. 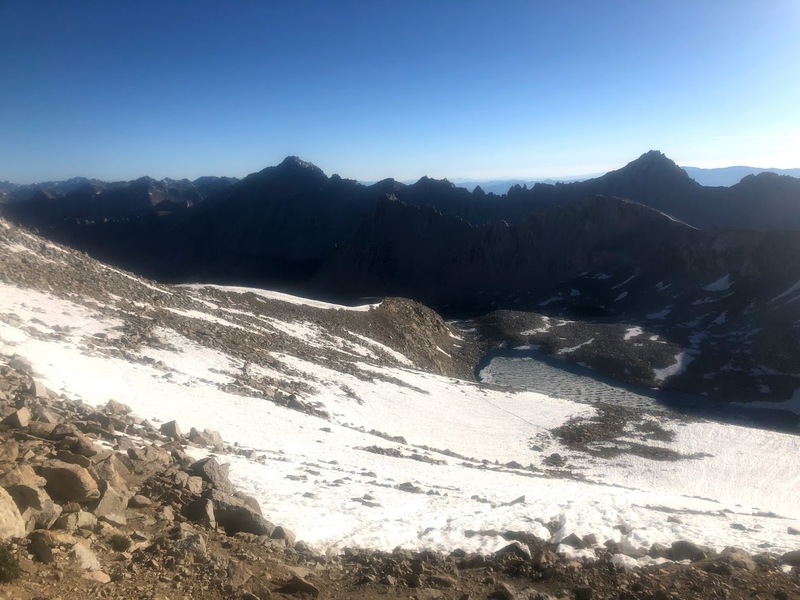 I hike near Forrester Pass to shorten my hike for the current day and to ensure that by crossing early in the morning the snow would still be frozen solid so that I could avoid post holing on the snow-covered north slope. Why would anyone camp there who didn’t plan on getting an early start? 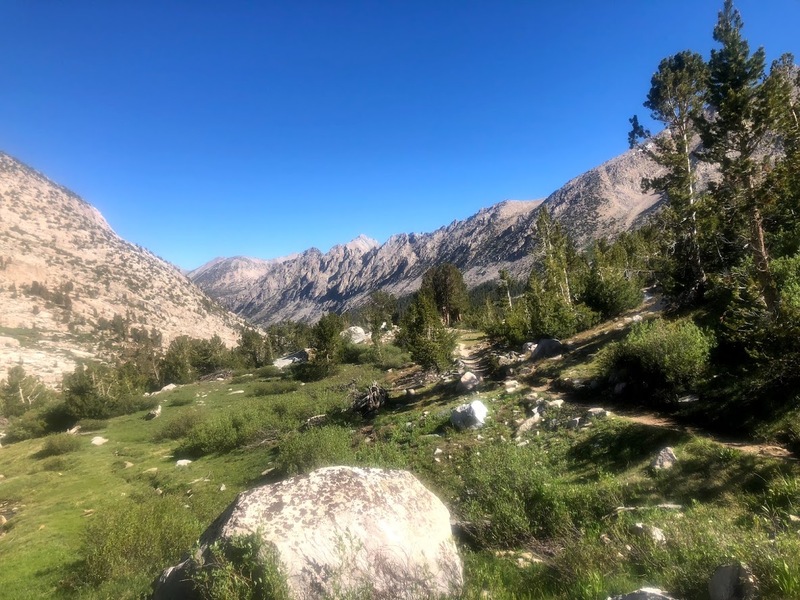 So I departed a little after 6 AM while campers divided into two areas a few hundred yards apart remained in their tents, leaving me as the sole hiker on the trail. It did concern me that nobody else was headed out except perhaps the least experienced guy in the group. Magento, a young guy I had met the night before was up walking around and he shared some tips based on intel he had gathered watching others going over the day before. He also warned me not to follow the trail which at first which was covered by snow because there was a strong creek flowing under it. He said that instead, I should go to the right and rock hop where the stream emerged from under the snow. He didn’t say that the rocks would be covered in ice. Somehow I made it and perhaps the adrenaline rush was just what I needed to get up the granite face that was staring me in the face. It wasn’t long until I began my ascent of what can only be described as a shear wall. Near the top, there is a chute which is normally covered in snow. Now, it was only mostly covered in snow and you crossed with one foot on the snow and the other on a precipice. It was an arduous climb but I was pumped and made the summit by 7 AM. And I was there, early morning sun, blue skies, no wind, and nobody else. It could not have been a more perfect moment. I took plenty of pictures. Going up wasn’t too bad but going down meant dealing with snow. The path was less than obvious and many false paths zig-zagged through the snow from those as lost as me. At least I knew the general direction and after an hour or so of slow, careful travel, I found a solid dirt path. I also passed one couple going south and later was passed by a northbound hiker but didn’t see many others until almost noon. 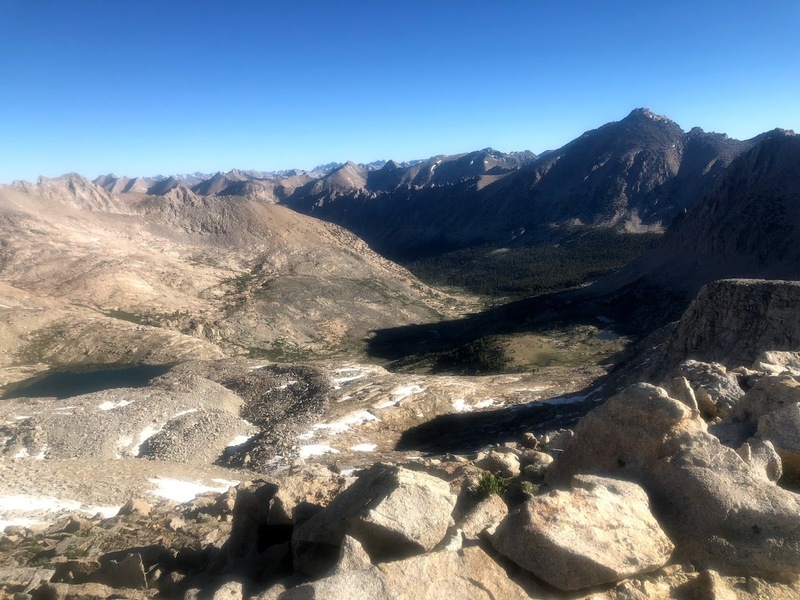 My main thoughts were about getting over Forrester Pass safely. 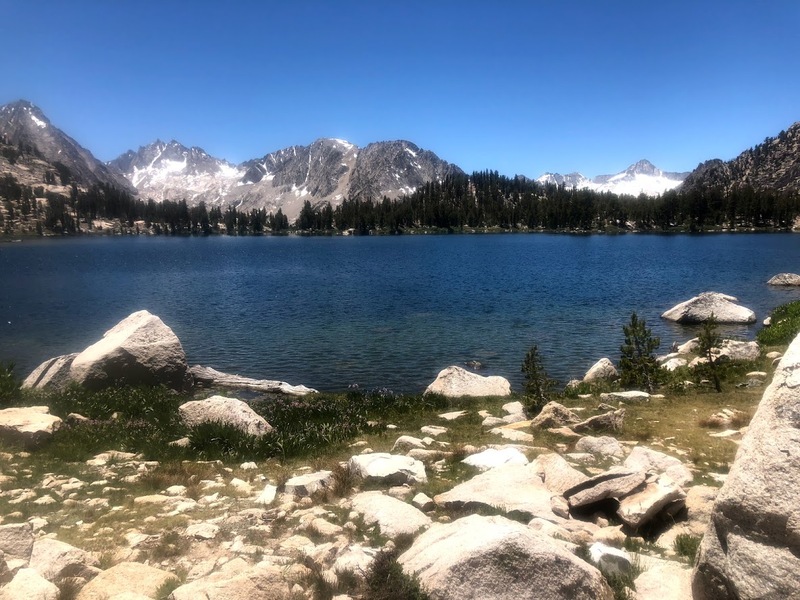 As soon as that was over, all I could think about was getting across Kearsarge Pass and resting for a couple of days in Bishop. The trail from Forrester went generally one direction: down. Still, I knew that had to change as Kearsarge Pass is about 11,800 feet. 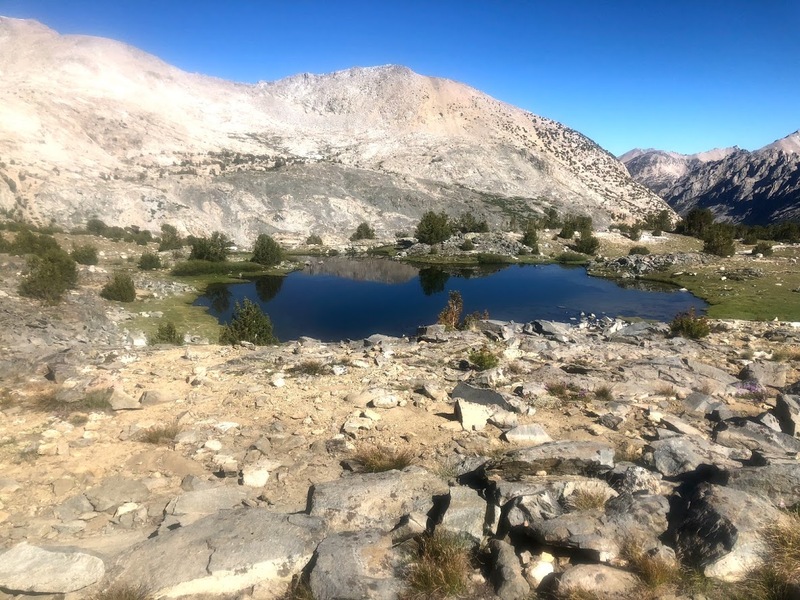 When the trail turned upwards, it continued a very steep ascent until the summit and then there were 4.7 miles of descent, a descent that will become an ascent again in a couple of days. Oh, and those miles across Kearsarge Pass? 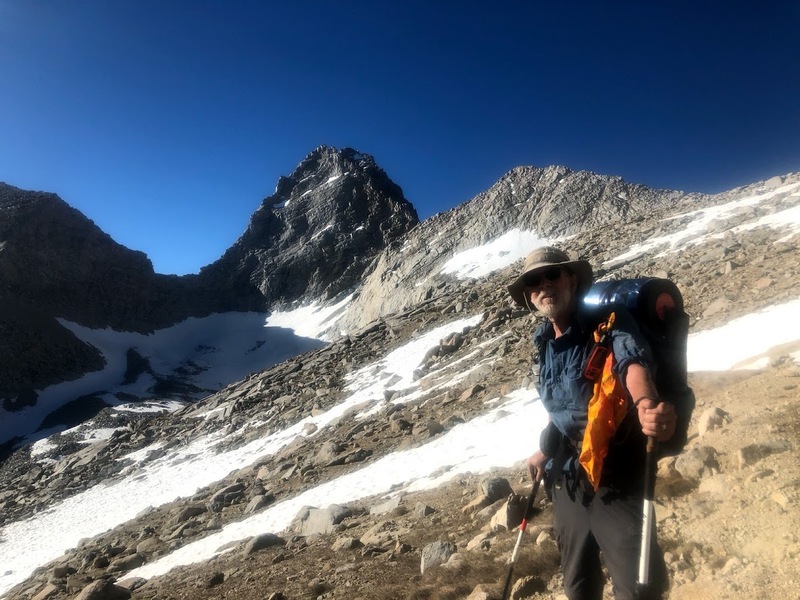 Bonus miles which are not part of the PCT. And just to prove that trail magic is real, as I came within the last few hundred yards of my wife waiting at the trailhead, I found an unopened can of brown ale sitting on a rock waiting for any taker. Hell, I would have taken an open one as long as it wasn’t empty.